Happy, happy new year to all of you! Thank you so much to all of you that have followed, commented, or just visited my blog since I started it just over 4 months ago. It has already become such a part of my life, it’s hard to believe it’s only 4 months old! As you see, it also contains 2 emery boards – I haven’t tested them yet – and a funnel, which is handy for getting the microbeads back into the bottle. Before you see the rest of the pictures – I did these nails while visiting my family over the Christmas season so I didn’t have the best lighting setup. I did a few designs which you’ll be seeing over the next couple of weeks, so please excuse that – I don’t think they’re too bad though. 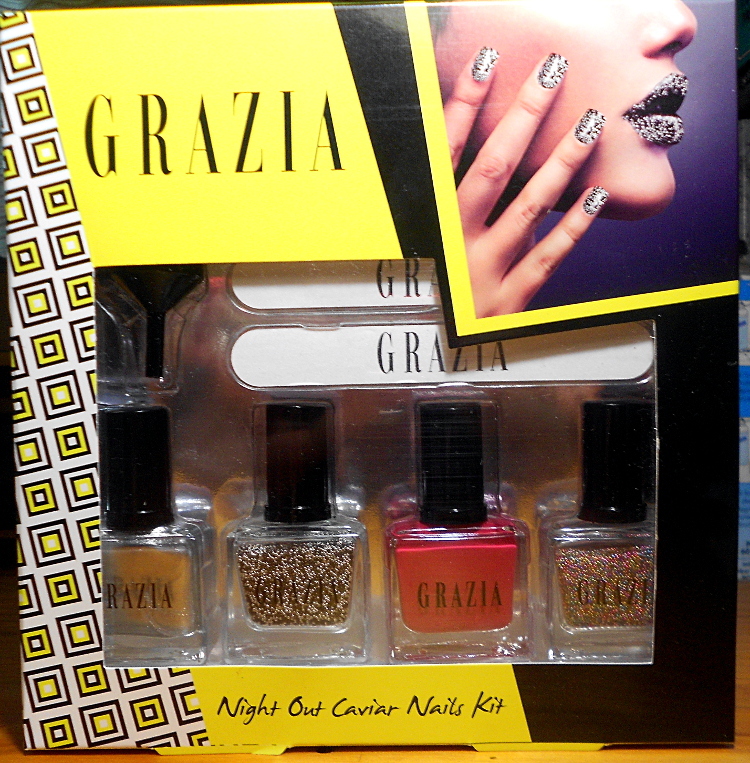 I started with a coat of the silver Grazia polish (it doesn’t have a name) on my thumb, middle, and ring fingers. 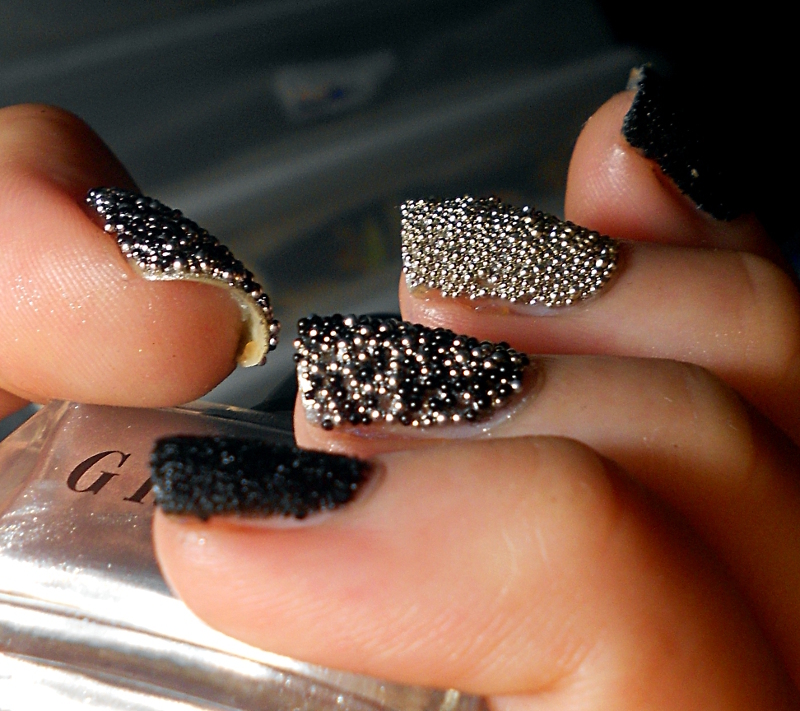 Then, one by one, I added a second thick coat and dipped the nail into the microbeads. 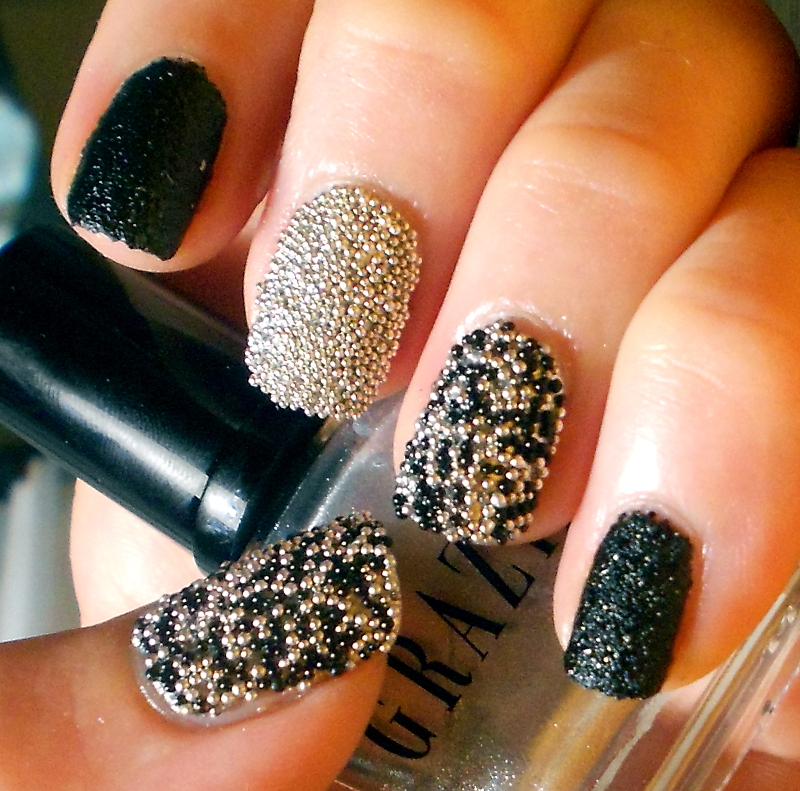 I lightly patted the beads down and didn’t apply any topcoat. For my thumb and ring finger, I used the beads from the set, and for my middle finger, I used some silver microbeads I had from a craft store. 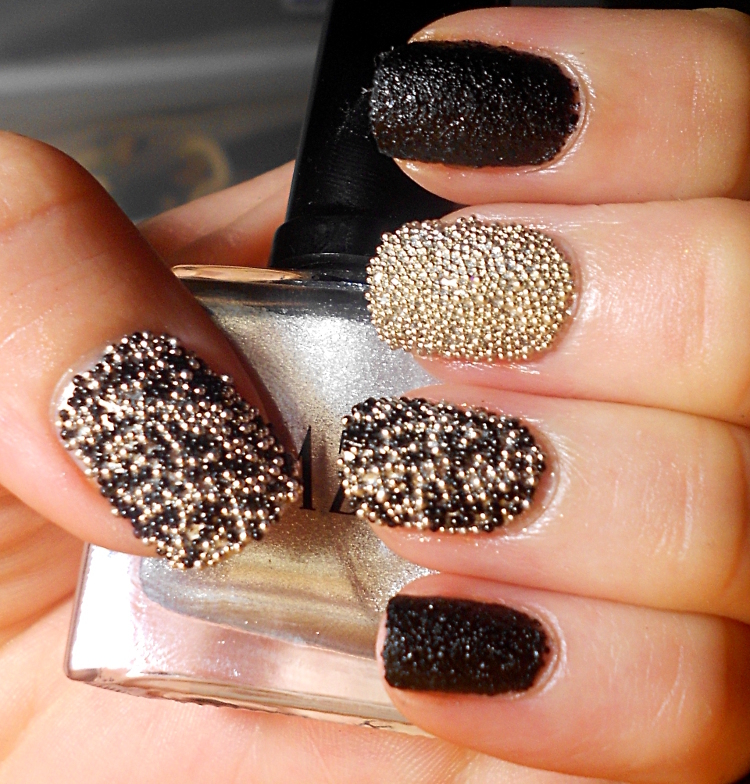 The craft store microbeads were slightly smaller, but the Grazia ones actually worked a lot better. I’m not sure why, but the craft store ones seemed to come off the nail pretty quickly while the Grazia ones lasted a couple of days – until the polish underneath them started chipping. So these weren’t designed with 2014 specifically in mind, but they are fun special-occasion nails. I hope you enjoyed the combination of textures!